Looking to update your arcade machine or build your own arcade machine and you're not sure which game to dedicate your cabinet to? Let us help, we have a range of original game boards currently on sale at hard to refuse prices! 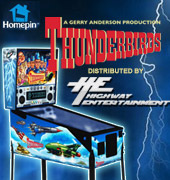 With game boards for as little as $20, why not consider one of our original arcade game boards. We currently have stock of Tekken 6: Bloodline Rebellion on clearance at well below market price. The game board is currently on sale for $1095usd per unit. Each unit comes with HDD and USB dongle, but not does include control panels. Stock is available for immediate shipment. We now have BlazBlue: Continuum Shift 2 upgrade kits in stock. Each kit includes game HDD, dongle, player instructions and poster. The upgrade kit is able to upgrade any existing Taito Type X2 cabinet, such as Street Fighter 2, King of Fighters 12 or the original BlazBlue. We are now taking pre-orders for Blaz Blue: Continuum Shift 2 upgrade kits. 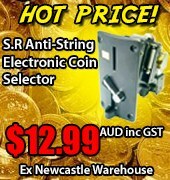 To secure stock, please place your orders now as we will require a 30% deposit on or before 11th May 2011. The goods are scheduled for delivery at the end of May. Capcom has announced that they will be releasing a new versus software kit for Super Street Fighter 4 Arcade Edition in March. This kit allows operators to use one Taito X2 system board and operate two players. The deadline for Super Street Fighter 4 pre-orders is fast approaching. If you are interested in securing stock from the first release shipment in December you will need to confirm your order with Highway Entertainment by Friday at the very latest. We currently have limited stock of Guitar Freaks V5 and Drum Mania V5 PCBs for sale. These PCBs are used, Japanese versions and will ship with HDD and USB lock dongle. Please contact our sales team for pricing. Highway Entertainment is now shipping the latest update for Andamiro's Pump It Up machine. Pump It Up: Fiesta is available in two versions, a software upgrade and a full PCB upgrade. King of Fighters XII (12) will be arriving in March. KOF XII is the latest installment of the popular 3 on 3 fighting game series. The game runs on the Taito Type X-2 hardware, and features newly-drawn high definition 2D sprites. Street Fighter 4 Machines and Kits are back in stock and ready for immediate shipment. We have back-to-back style dedicated machines which feature the SF4 PCB housed in a Delta 32 Cabinet. We also have both New and Used Street Fighter 4 Kits available. Drum Mania V4 & Guitar Freaks V4 brand NEW upgrade kits are now for sale. These kits have never been used. This game is a simulated game created by Konami as part of the Bemani series. Just arrived brand new Extreme Hunting 2 Kits. Upgrade from the original or convert a Jamma cabinet into a state of the art wild life hunting simulator. From the smash hit Role Playing Series of Spectral Force and Generation of Chaos, comes Spectral VS Generation. This takes the generals of the two series off the battlefields of Neverland. All generals have been stripped of their squads and forced into brutal combat with each other, and only one will survive. We are pleased to announce Sammy's brand new Extreme Hunting game will be available from 20 November, 2004. Extreme Hunting is a game where players compete in head-to-head competition and must complete multiple target stages. Sammy's The Rumble Fish fighting game is now available through Highway Entertainment and is ready for immediate shipment. The Rumble Fish pits two players against each other in a battle for survival. Following our recent stock take, Highway Entertainment is pleased to announce that we now have well over 150 video game boards (PCB's) available for sale. Highway Entertainment is pleased to announce Guilty Gear Isuka, from Sammy's Guilty Gear series of arcade fighting games, is now available. Guilty Gear Isuka allows players to choose whether to compete individually, or as a part of a team when they fight against their competitors. Sammy's new gun shooting game, Ranger Mission, will be available through Highway Entertainment from March 2004. Ranger Mission is a gun shooting game where players carry out military training missions within a virtual space setting. Add Metal Slug 5 to your Neo Geo collection with this low cost update. The new mission is to recover Metal Slug secrets pilfered by a mysterious paramilitary syndicate. Knights of Valor: The Seven Spirits is Sammy's latest edition of the fighter game based on the "Three Kingdoms". The game will run on the AW-NET system, with 3D background and scaling 2D character animation. The combination mode will reveal dazzling visual effects. Two new characters have been added into the game, the elegant "Alloth" with a flamboyant fighting style, and "Mizar", joining the frenzy for vengeance. Save up to 75% off our marked prices during our end of financial year sale. Hurry, as offer ends SHARP on 30th June, 2003. A range of driving kits are now available including Daytona, Touring Car, Midnight Run, Rave Racer, Tokyo Wars, VRally and Smashing Drive - all for immediate shipment. Crazy War is a video game revolving around an epic battle between the Coalition of Planets, and the evil Devilion Empire. The game is available for immediate shipment. Our first shipment of KOF2002 sold out on the first day, and we are now collecting orders for the 2nd shipment. Brand new Capcom vs SNK II Upgrade kits including GD Rom, dimm board, player instructions, and software now available.